A big hello to all of our colleagues in the Historical Justice and Memory Network! We were happy to connect with many members of the network at the December conference in New York City (and hope that you will consider sending us your conference papers!). For our winter/early spring issue of the Working Paper Series, we are pleased to publish Danielle Korngold’s paper, “Gjakmarrja as Conflict, the Potential for Informal Peace Education, and Transforming Attitudes in Albania,” a thought-provoking examination of “blood revenge” practices and peace education interventions. Our working papers are all by emerging scholars and practitioners in the fields of historical dialogue, historical and transitional justice, and public and social memory. Please do read the paper and add your informal comments, thoughts, reflections, and connections. As always, we encourage you to send questions and Working Paper submissions to co-editors Michelle Bellino and Cathlin Goulding at dialogues@columbia.edu. And check our past working papers here! Among the Gheg tribes in the highlands of northern Albania, as well as in western Kosovo, Montenegro, and other select areas of the Balkans, social and cultural order have been traditionally maintained through a centuries-old codified system of blood feud known as gjakmarrja (djak-MAHR-yeh, literally “blood-taking”). Culturally entrenched systemic violent conflict—including gjakmarrja, female genital cutting, and honor killings—serves as a mechanism that reinforces other cultural values when society feels that certain members have behaved in a way that deviates from those values. In this essay, I argue that peace education as a way to introduce the possibility of socially and culturally acceptable alternatives to these mechanisms. The nature of gjakmarrja presents a good opportunity to assess how peace education might be introduced into informal settings – that is, any setting not directly associated with or organized by government. Danielle J. Korngold received her MA in International Development Studies from George Washington University and her BA in Political Science/Economics from New College of Florida. A Florida native, she spent 10 months on a Fulbright Scholarship teaching at Siberian Federal University in Krasnoyarsk, Russia. Her focus in international development centers on economic development in conflict-affected countries. 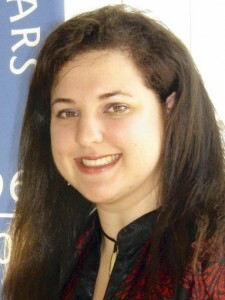 In addition to her research on blood revenge, she has also researched approaches to the protection of human rights; controversies in contemporary Chinese foreign policy; counterterrorism through advancement and development of women; and the use of mobile information and communications technologies in post-conflict commercial development. She currently works at the Institute of International Education.